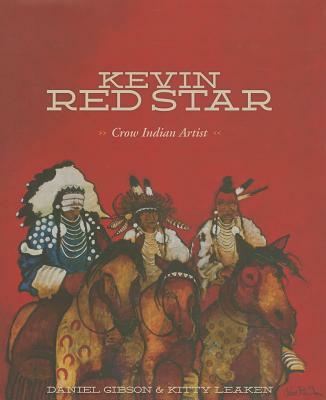 Kevin Red Star is not only one of the most acclaimed Native American artists, but he is also a visual historian of his people, the Crow. His art celebrates, commemorates, and perpetuates the Crow culture. Gibson and Leaken showcase the talents of Red Star in this collection of artwork while also exploring his motivations. Red Star's childhood on the reservation, his time at the Institute of American Indian Arts and San Francisco Art Institute, and his friends and family are all a part of his ever-evolving path of expression that makes his artwork so iconoclastic. DANIEL GIBSON has worked as a freelance writer and editor for numerous publications, including the New York Times, Los Angeles Times, and Cowboys & Indians. He served as editor of Native Peoples magazine for 12 years and as a columnist for the Santa Fe New Mexican. He lives in Santa Fe, New Mexico. KITTY LEAKEN creates documentaries that preserve art and culture of native peoples of the world. She has been the photographer for several books, including Contemporary Native American Artists. She is an official photographer for the Southwestern Association for Indian Arts and lives in Santa Fe, New Mexico.